The Outwell Stone Lake 7ATC tent is a massive family tent, perfect for creating that holiday home under canvas. 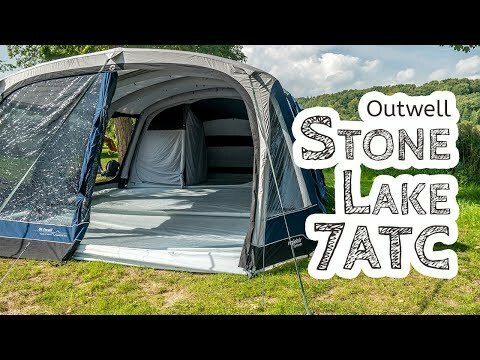 The Outwell Stone Lake 7ATC is an absolutely massive family tent. This is definitely not a tent for weekend camping but could be ideal if you are planning a week or two’s holiday under canvas. At the rear of the tent are three bedrooms. Two double bedrooms and one three-person bedroom. 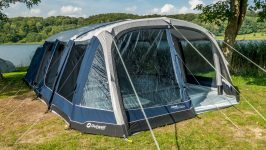 Although this could sleep seven, mum, dad, and a couple of kids would all have lots of room with this tent, which is just what you need if you are planning a longer camping holiday. 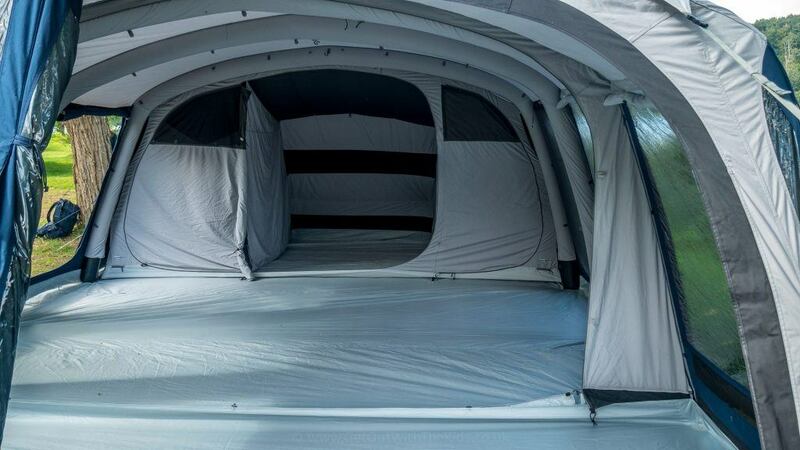 The layout of this tent has three large bedrooms and lots of living space. The Outwell Stone Lake doesn’t skimp on living space either, with a massive living area providing plenty of space for storage furniture, which is another essential component for an extended family holiday in a tent. At the front of the tent is a porch area, which you can open up in good weather. The groundsheet in this front part of the tent can also be removed, providing you with somewhere to dry wet things. 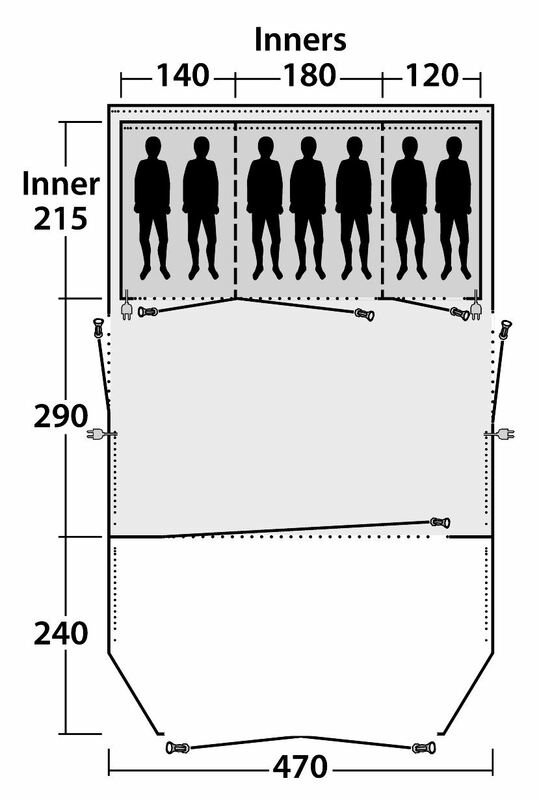 As with many of its sister Outwell tents, the Stone Lake 7ATC has large panoramic windows. Outwell have made the windows bigger, bringing more of the outside into the tent, yet the windows are still coated to provide some privacy. Electric entry points can be found on both sides of the tent, and there are also electric cable entry points to the bedrooms. In addition to the large doors at the front of the tent, the Stone Lake has two side doors. These have been positioned to help provide an optimum layout for your tent furniture. You’ll find the doors on the bedrooms can be unzipped and tucked away if you would rather have the bedroom open. You can also unzip the large door that separates the front and middle parts of the tent. 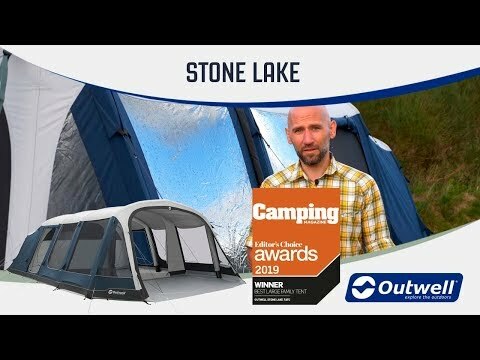 The Outwell Stone Lake 7ATC is an inflatable tent, so you don’t need to mess around with tent poles. 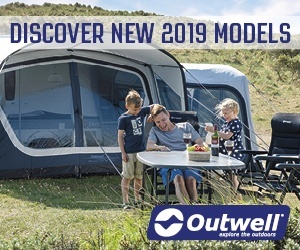 Just use one of the approved Outwell air pumps and watch the tent go up. The material on this tent is ‘technical cotton’. This is a modern version of the traditional canvas tent. A big advantage of this over polyester fabrics is that it will keep the interior of the tent cooler in hot weather, and stay slightly warmer in cooler weather. This is a big tent. You will need to have plenty of space to transport it, probably a trailer. You will also need at least two people to help lift it and get it in and out of its bag. The Outwell Stone Lake 7ATC is great for an extended family camping trip.  Ideal for long family holidays under canvas. Large and heavy to transport.